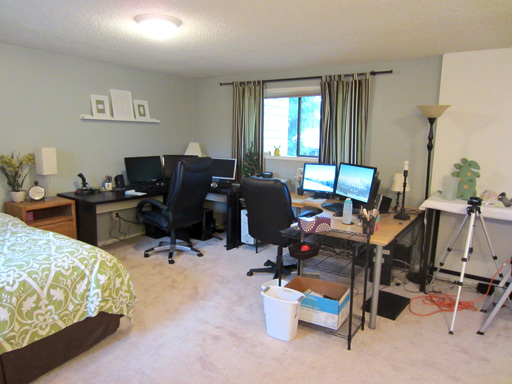 This is the final post in a series about revamping the largest room in my house to serve as a home office. The work is done and the room has been put back in order! Just in time for the weekend, too. 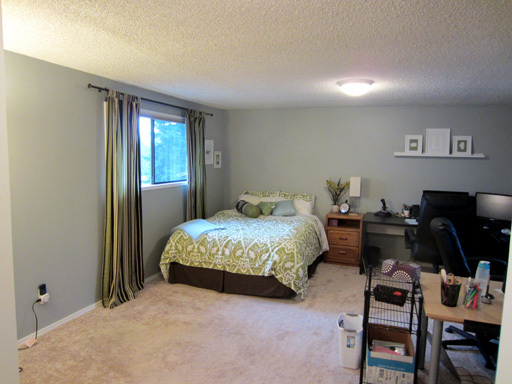 For $100, I gave this room a whole new look and layout. My workspace feels refreshing and different – the perfect way to start a new adventure. My desk space doubled thanks to a fabulous free desktop found on a neighbor’s curb, but the room is still able to serve as a part-time guest room. 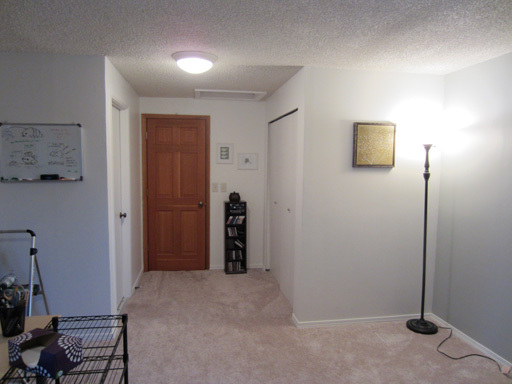 I even built my own photography corner by painting the walls of one corner white.